Real Madrid enters the new season with few, but important, changes. 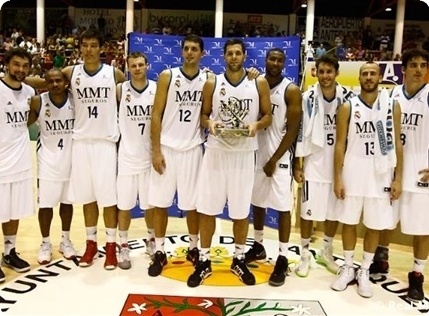 Los Blancos brought back Rudy Fernandez, a central piece of their offense from the early stages of the last Euroleague campaign. 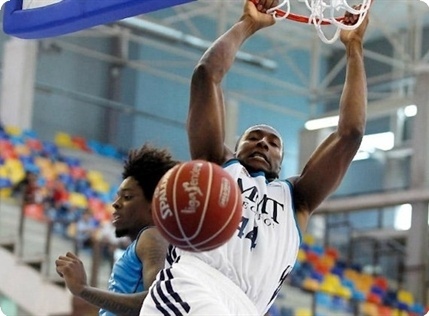 Madrid also added depth at point guard with former Eurocup MVP Dontaye Draper, and more muscle inside with rebounding ace Marcus Slaughter, all in hope to return to title contention after missing the playoffs last season for the first time in four years. Madrid has a super scoring threat in athletic swingman Fernandez, whose abilities to either penetrate or shoot from downtown can hurt any defense. 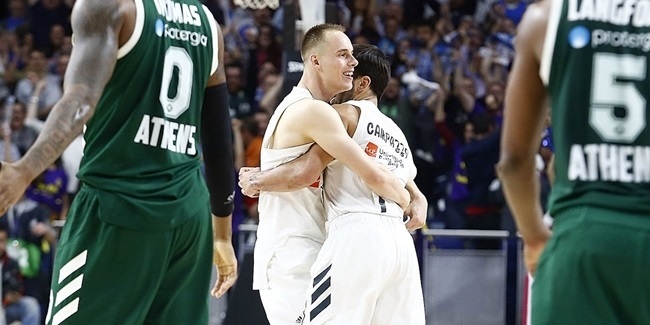 Fearless former All Euroleaguer Sergio Lull and sharpshooter and scoring machine Jaycee Carroll team with Fernandez to form a lethal attack, while versatile and athletic swingman Martynas Pocius compliments them all on both ends of the floor. The playmaking role will be manned by passing whiz Sergio Rodriguez and team player Draper, the only Euroleague rookie on the roster. Together, this mix has just the right mix to wow fans on offense and defense. 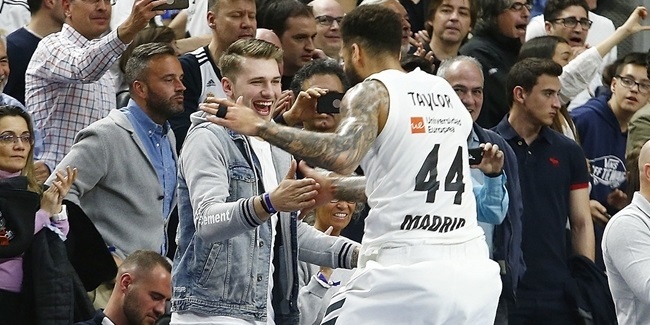 Madrid lacked defense in the paint last season, and it hopes to improve in that department with the addition of physical power forward Slaughter, who together with Mirza Begic gives Coach Laso a formidable shot-blocking duo. 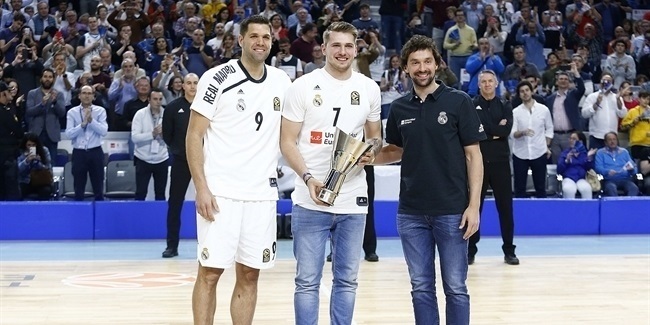 Felipe Reyes, who has been leading Madrid to victories for ages, remains a go-to guy in the low post. Two-time Euroleague Rising Star Trophy winner Nikola Mirotic is nothing short of an elite force, while versatile forward Carlos Suarez rounds out a deep frontline. Madrid led Turkish Airlines Euroleague in scoring last season and has since added even more scoring to the mix. Madrid also led the league in rebounding and shot-blocking, but also allowed the most points in the Top 16. However with the core of that team untouched and a few minor additions that should improve its team defense, the sky is the limit as Real Madrid looks to roar back into contention for another continental title. Marcus Slaughter. A lot of responsibility around the rim rests on the shoulders of Slaughter. On a team full of scorers, his physical presence and ability to bang could be what puts Madrid over the top. Of course the high-flying Slaughter is no afterthought on offense either as his over-the-top dunks are the stuff highlight reels are made for. But the bottom line is that his rebounding and shot-blocking is just what the Madrileños needed.